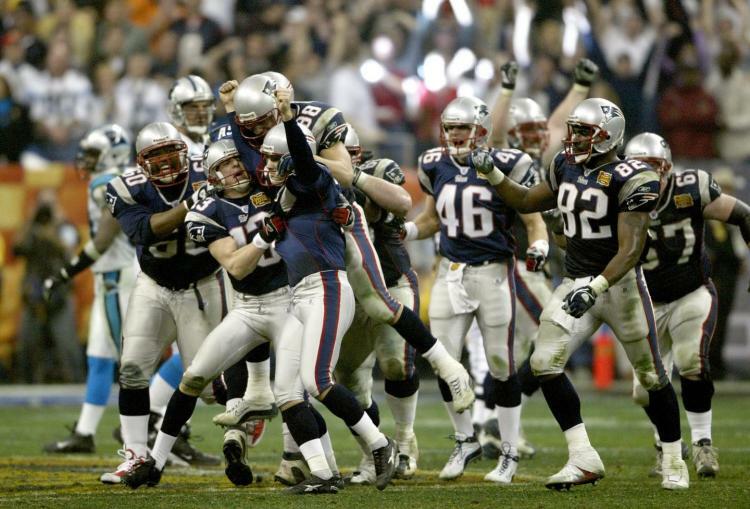 ​​​​In a game that saw scoreless first and third quarters followed by a surge of scoring in the second and fourth periods, Super Bowl XXXVIII was one of big plays and solid defense, and more importantly for the fans, it went down to the wire. A scoreless contest was finally broken late in the second quarter when Deion Branch hauled in a 5-yard pass from Tom Brady and a 7-0 lead. However, the Panthers, after having played a scrappy first half so far, immediately answered with a 39-yard scoring strike from Jake Delhomme to receiver, Steve Smith. The Patriots would reply equally as quickly when Tom Brady found David Givens, again from, 5 yards away. Not to be completely outdone, the Panthers managed to tack on a 50-yard field goal on the very last play of the first half to make the halftime score 14-10 in the Patriots favor. Another scoreless fifteen minutes completed the third period, before on the most explosive, back-and-forth final periods in Super Bowl history. 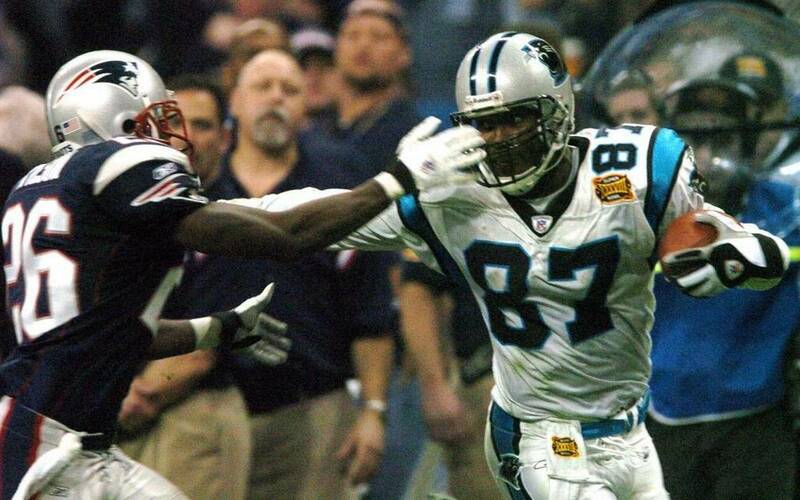 Following an Antowain Smith touchdown run gave the Patriots an eleven point advantage, the Panthers would score two quick touchdown strikes on the back of a 33-yard touchdown run by DeShawn Foster, and an 85-yard bomb to Muhsin Muhammad. However, each score was followed by a failed 2-point conversion, giving them a narrow advantage, 22-21. The Patriots would retake the lead on a pass play from Tom Brady to linebacker, Mike Vrabel. A 2-point attempt was good, and the Patriots led, 29-21. The Panthers, however, would storm back, tying the contest once again when Jake Delhomme threaded a pass to receiver, Ricky Proehl from 12 yards away. 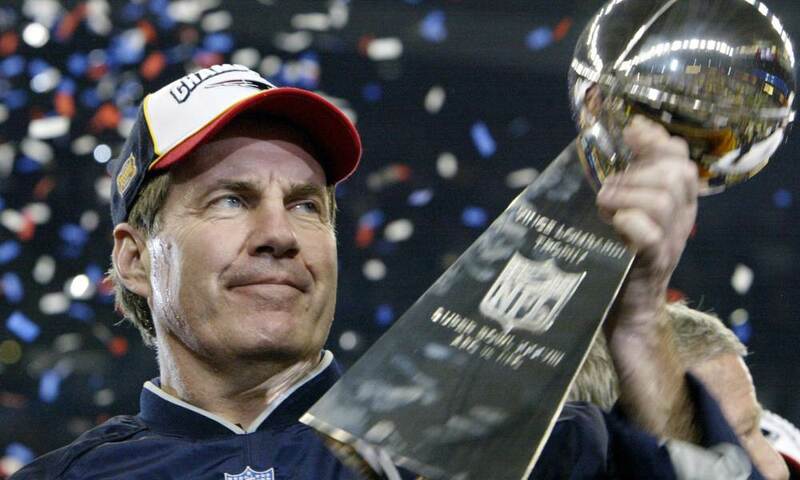 Much like he did in Super Bowl XXXVI, however, Tom Brady, who would win his second Super Bowl MVP award, would steadily lead New England down the field as the clock ran down. Adam Vinatieri would boot through the game-winning kick from 41 yards away. 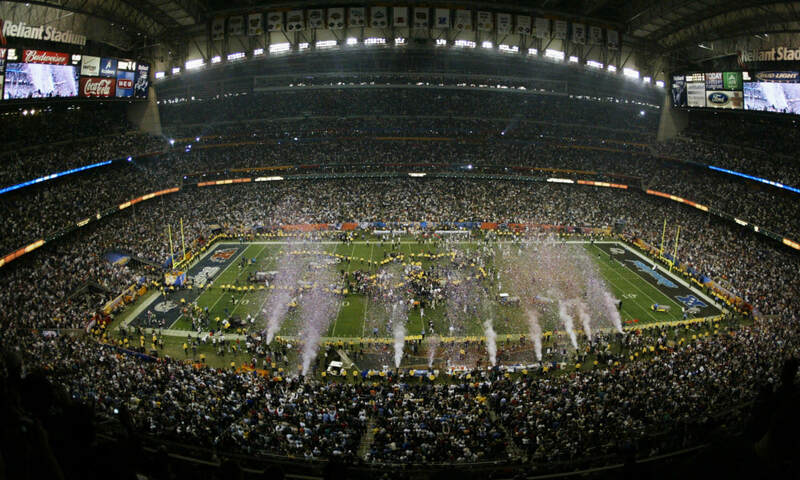 Super Bowl XXXVIII was perhaps more famous for the "Wardrobe Incident" during the halftime show featuring Janet Jackson and Justin Timberlake. You can view footage of the show at the end of the bottom of the page.